Tired of looking at the unsightly factory battery blanket every time you pop the hood? 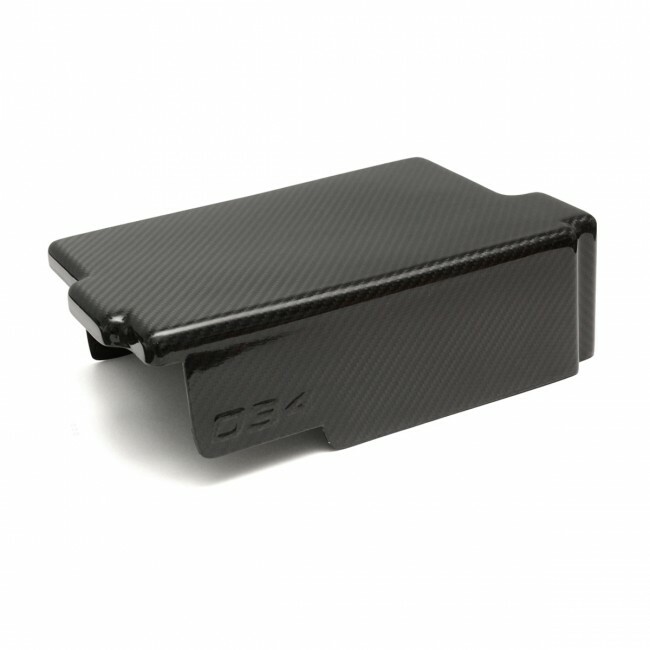 So were we - that's why we created the 034Motorsport Carbon Fiber Battery Cover for 8V Audi A3/S3 & MkVII Volkswagen Golf/GTI/R. This high quality carbon fiber piece is designed to perfectly complement 034Motorsport's X34 Intake System, Engine Cover, and Fuse Box Cover for a true OEM+ engine bay appearance. The Carbon Fiber Battery Cover fits snugly over the factory battery blanket and is secured by magnets.